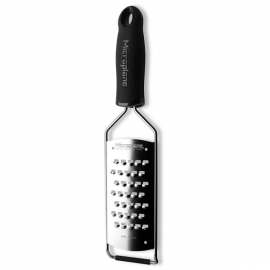 Microplane took their extensive knowledge and expertise in creating ultra sharp tools for woodworking and produced a range of kitchen graters that effortlessly cut through hard and soft foods without tearing or shreading making them the 'must have' graters. 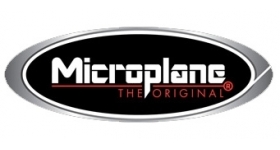 The Microplane Gourmet Series is the combination of unparalleled performance with exceptional durability and simple elegance. 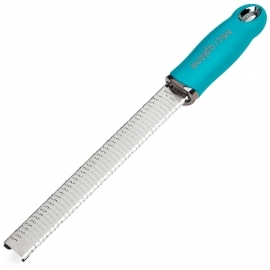 The paddle-shaped grater is laser welded for enduring strength and offer non-slip rubber ends for stability. The Microplane Home Series is the combination of unparalleled performance with exceptional durability and simple elegance. 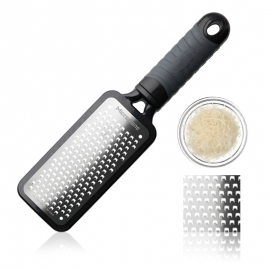 The paddle-shaped grater features an ergonomic handle and a hard acrylic frame so it won't scratch your worktops. 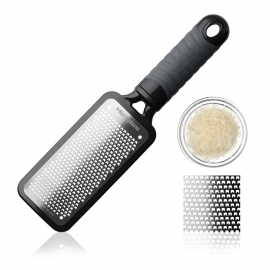 Zest citrus fruits and grate hard cheeses, ginger, garlic and nutmeg with ease using this ultra sharp grater from Microplane. 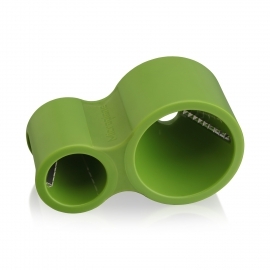 Create delicious spiral cut vegetables for use in stir-fry or as a low carb alternative to pasta with this handy cutter.